This special edition of Saturday’s Stash isn’t going to feature any tips or tricks, since I am still learning how to work with fragile lace myself. 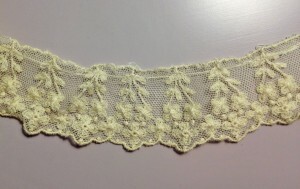 I will attempt to make up for this lack by including photos of some truly scrumptious lace. . . .
My maternal grandmother was the reason I began sewing, especially doll clothes. She owned a large collection of vintage and antique dolls, for which she’d created exquisite wardrobes. When she died in August 2013, I inherited some of her sewing stash. Since I live on the opposite end of the country, I wasn’t able to bring any bolts of fabric home, but I was able to grab a box filled with lace. What a treasure it turned out to be! 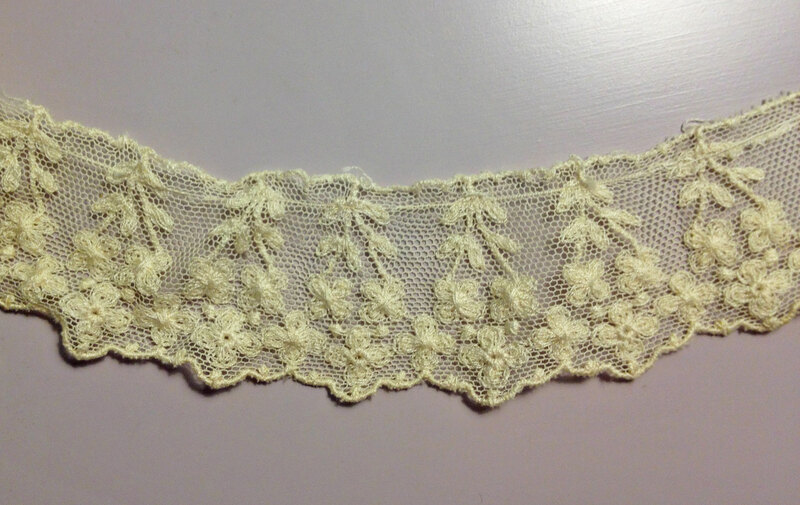 Since my grandmother sewed for dolls, all of the lace is dainty. 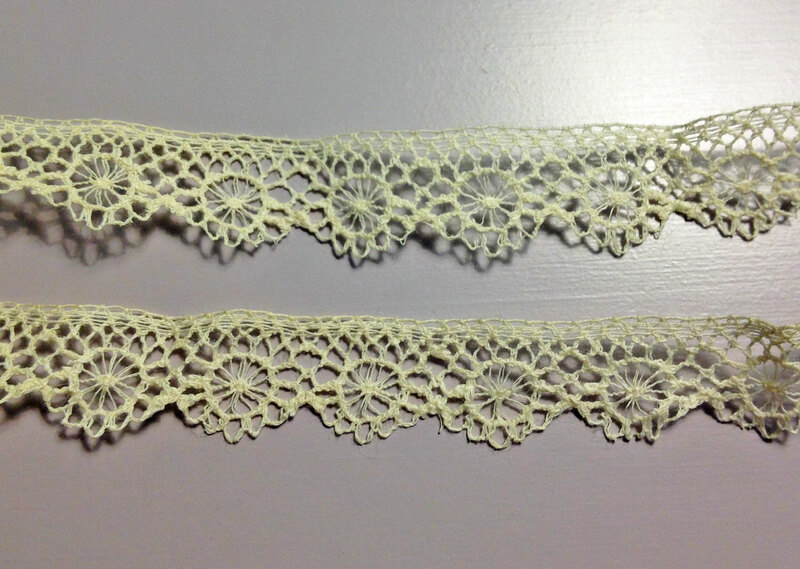 Most of it is heirloom lace—not necessarily old, but definitely vintage. Some pieces do appear to be antique. 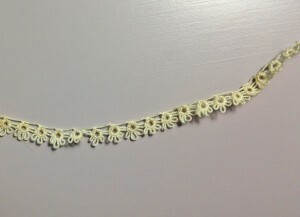 I can’t identify all the types of lace, but some appear handmade. A few are white or pale pink, but most are ecru, although it’s difficult to say whether that’s the lace’s original color or if it’s yellowed due to age and exposure to cigarette smoke. (My grandmother was a lifelong smoker.) Some of the pieces also have rust spots, which I’m hoping will fade when I soak the lace. 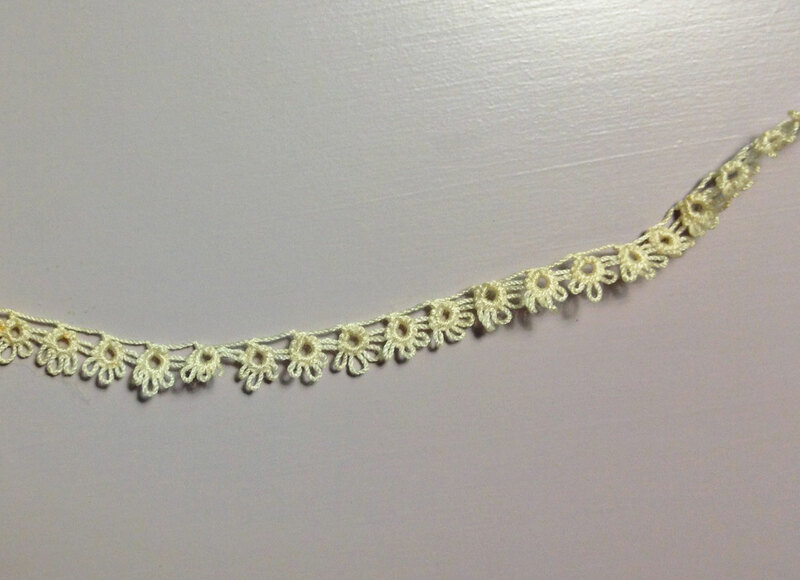 There are several lengths of handmade tatting, one of which is the smallest tatting I’ve ever seen. It’s hard to tell the size in the photo, but each tatted circle is about 1/16” wide. 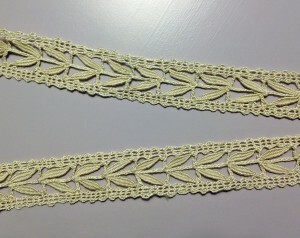 This needle-lace with a leaf motif also appears to be handmade. It’s exquisite! Sadly, many of my favorite pieces are too short to do anything significant with. I might be able to trim a little hat or make sleeve cuffs out of the smaller pieces. 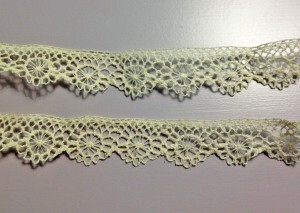 As for the rest, I have plans to make a set of Victorian undergarments for my 16” and 22” fashion dolls, so I’m sure the lace will come in handy! Just going through the box is inspirational. 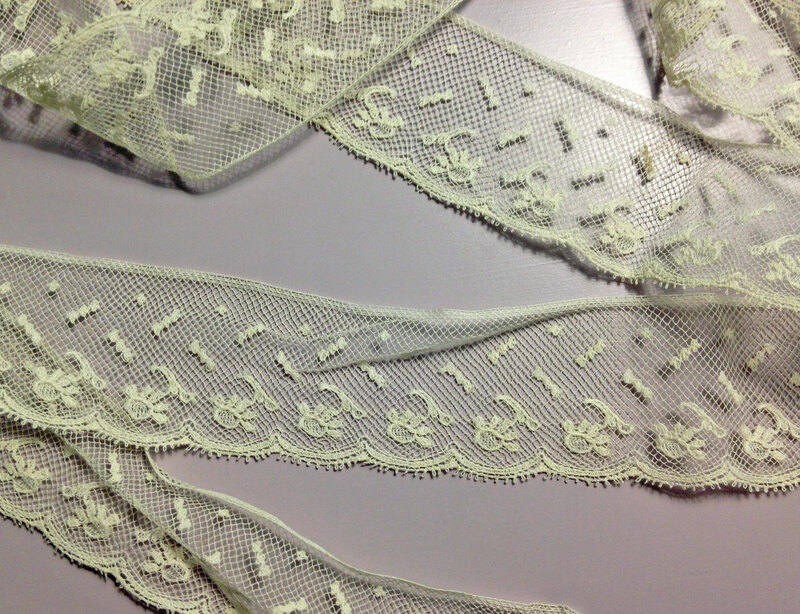 I can picture this bit of lace as a collar, or that piece dripping from a Rococo hat. . . . While it’s sad that my grandmother is no longer with us, I look forward to putting my inheritance to good use. This entry was posted in Saturday's Stash and tagged Dolls, Embellishment, Saturday. Bookmark the permalink. I recently learned that the way those devastatingly gorgeous “Gibson Girl” shirtwaist were (sometimes/often?) 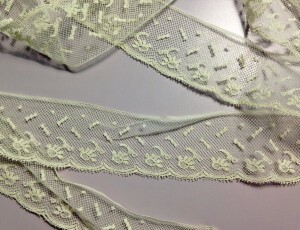 made was by stitching together scraps of different laces and lace motifs, then laying the pattern over the top of the resulting rectangle to cut the shape, supplementing with voile, etc. where necessary. You are so clever with detail, I am sure you could figure out some beautiful pieces! I would love to make a doll-sized Edwardian dressing gown out of heirloom lace and voile, something like Rose wore in “Titanic.” I have an amazing dressmaking book from 1911, which demonstrates how to work with lace. 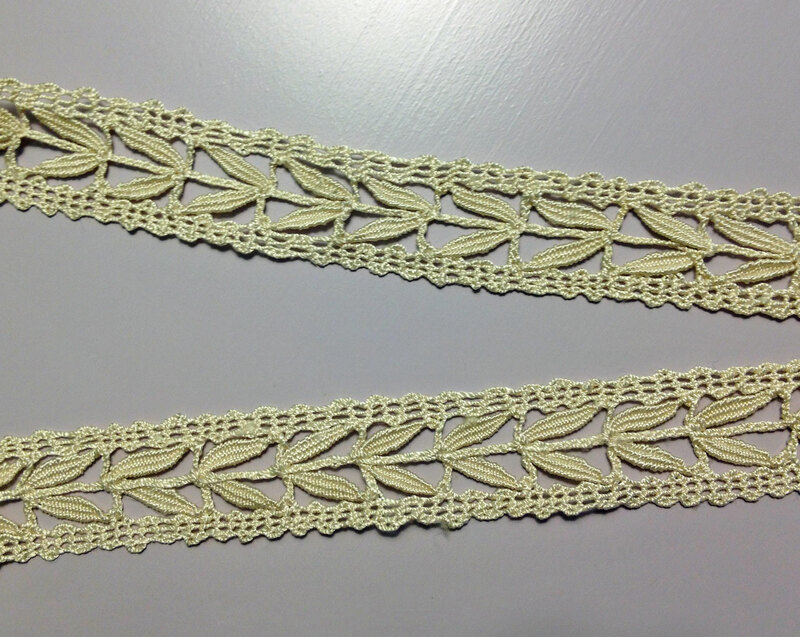 I believe it uses the method you mentioned, piecing the lace first, then cutting the pattern. They really knew how to sew back then!